5/16-18 X 3-1/4 inch Brass Bolts. 2 Brass Hex Nuts. 2 Brass Washers. 2 Rubber Washers. Sold In Pairs. 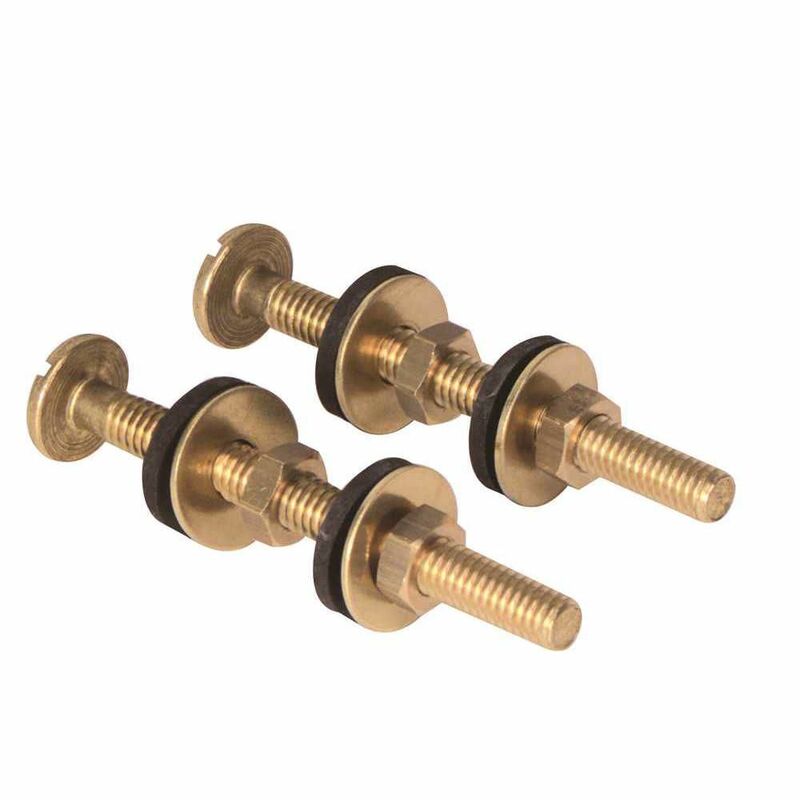 Solid Brass Closet Tank Bolts, Pair, 5/16 inch X 3-1/4 inch 5/16-18 X 3-1/4 inch Brass Bolts. 2 Brass Hex Nuts. 2 Brass Washers. 2 Rubber Washers. Sold In Pairs.